Lock in a great price for Jugendherberge Eichstätt – rated 9 by recent guests! Sehr freundliches Personal! Bei Buchungsschwierigkeiten besser direkt anrufen! Besser direkt buchen und nicht über externe Anbieter! Der Herbergsvater war ausgesprochen nett und fürsorglich und konnte mir sehr gute Tipps geben. DANKE! Das Frühstück war sehr lecker (besonders die Brötchen, die Nussmischung und der Kaffee! Obwohl es am Abend meiner Ankunft eigentlich kein Abendessen, auf Grund geringer Gästeanzahl, gab, hatte mir die Leitung eine leckere Brotzeit hergerichtet! Frühstück war super und reichhaltig. Schlafsaal- klein aber fein. Gemeinschaftsbadezimmer auf neuestem Stand! Szép tisztaság volt. Nem volt tele! Mindenen látszott, hogy nemrég újíthatták fel! This hostel lies at the foot of Willibaldsburg Castle, a 10-minute walk from Eichstätt’s historic town center. HI Hostel offers several indoor and outdoor leisure facilities and free Wi-Fi in public areas. The simple rooms at HI Hostel Eichstätt feature light wooden furniture. Shared toilets and bathrooms are available for dormitory guests, while Twin Rooms offer a desk and a private bathroom with sink and shower. 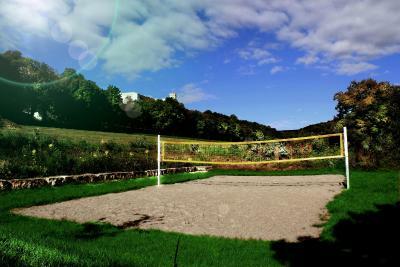 Guests are welcome to use the outdoor games area with volleyball pitch, basketball court and barbecue facilities. Indoor leisure facilities include table football, and air hockey and table tennis. 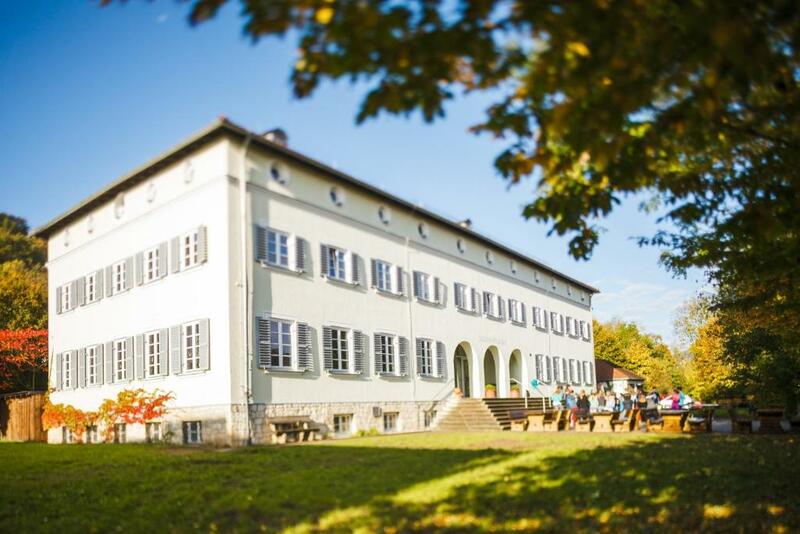 The hostel is an ideal base for exploring the Altmühltal Nature Park or cycling along the well-known Altmühltalradweg (Altmühl Valley Cycle Trail). Canoes and bicycles can be hired in Eichstätt town center. HI Hostel is a 10-minute walk from Eichstätt Cathedral and a 15-minute walk from Eichstätt University. On-site parking is free, and Ingolstadt is a 25-minute drive away. 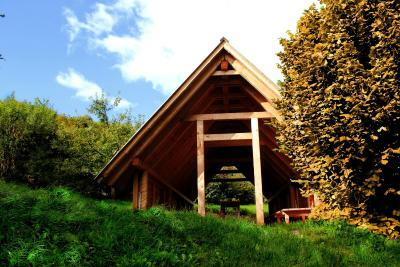 This property also has one of the top-rated locations in Eichstätt! Guests are happier about it compared to other properties in the area. This property is also rated for the best value in Eichstätt! Guests are getting more for their money when compared to other properties in this city. When would you like to stay at Jugendherberge Eichstätt? Simply furnished dormitory room with light wooden furniture. Shared bathrooms and showers are located in the hallway. Simply furnished room with light wooden furniture and a desk with use of a shared bathroom. House Rules Jugendherberge Eichstätt takes special requests – add in the next step! Jugendherberge Eichstätt accepts these cards and reserves the right to temporarily hold an amount prior to arrival. 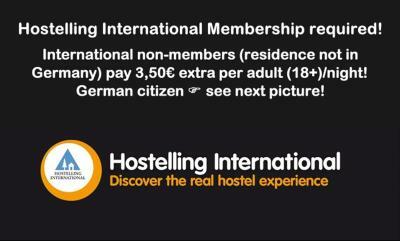 If you are not a member of International Youth Hostel Federation, you must buy a membership card upon arrival. Membership costs EUR 7.00 for people under 26 and EUR 22.50 for families and people 27 and older. If you arrive outside reception opening hours, you can use the check-in machine. Please contact HI Hostel Eichstätt in advance for the password. Please inform Jugendherberge Eichstätt of your expected arrival time in advance. You can use the Special Requests box when booking, or contact the property directly using the contact details in your confirmation.